Kubrickâs masterpiece is streaming, just in time for Halloween. Elevators filled with blood. Room 237. Creepy twin girls. âAll work and no play makes Jack a dull boy.â Redrum. Redrum. REDRUM. Almost 40 years after Stanley Kubrickâs The Shining was released, thereâs still no other horror movie filled with so many iconic moments. And thereâs still nothing as terrifying from start to finish. With Halloween creeping up on us, what better film to place in your Netflix queue this month. In a certain sense, not all that much happens in The Shining. Certainly the b ody count pales in comparison to that of your average slasher flick. 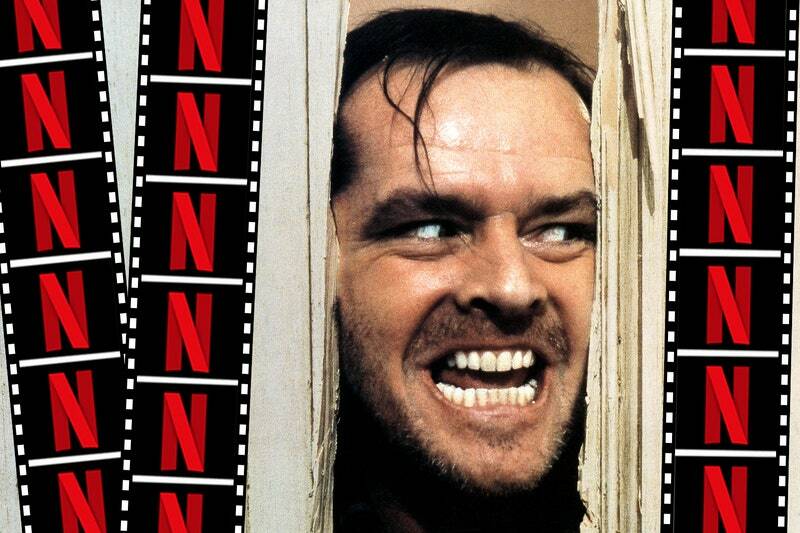 Jack Torrance (Jack Nicholson), a struggling writer, applies for a caretaker position at a snowbound Colorado hotel. Although his home life isnât perfect, he doesnât blink when the interviewer warns him that a previous caretaker âran amok and...he killed his family with an axe.â His wife, Wendy (Shelley Duvall), and son, Danny (Danny Lloyd), join him for a few months of relaxation that turn into a few months of increasing terror as they get snowed in at the hotelâ"which is (surprise!) hauntedâ"and are slowly driven mad. âThe uncannyâ as a psychological effect was famously delineated by Sigmund Freud, and is essentially the eerie feeling that something is both familiar and strange at the same time. A central driver of the uncanny, for Freud, was doubling: twins, dÃ©jÃ vu, ghosts, mirrors. The Shining is filled with these elements, from the incredibly creepy twin girls that Danny keeps seeing (âCome and play with us, Danny. Forever and everâ) to the second boy who lives inside of Danny, telling him secrets and the idea that Jack is a reincarnation of previous caretakers (âYou've always been the car etaker. I should know, sir. I've always been hereâ). Ambiguity is also central to the uncannyâ"it's the feeling that we canât understand what is real and what is false, what is natural and what is supernatural. A giant hairy monster might scare us for a second, but the feeling of unease haunts us long after the film is done. The Shining is a masterclass in cinematic ambiguity. Indeed, the film is so mysterious, so cluttered with clues and confusion, that thereâs an entire documentary, Room 237, about the insane fan theories surrounding the film. Outside of The Shining's uncanny power, it is simply a near flawless film. Jack Nicholsonâs completely unhinged lead is widely celebrated, but every performanceâ"from Scatman Crothers as a psychic chef to Shelley Duvallâs personification of terrorâ"is immaculate. And this being a Kubrick film, the cinematography is stunning from the first frame to the last. The Shining is now such a classic horror movie that itâs hard to remember the film was initially hated. Kubrickâs four previous films had each garnered multiple Oscar nominations (including four Best Director nods in a row), but his haunted-hotel tale got zero Oscar nominations and a Razzie nomination for Worst Director. The Shining was simply too strange for critics in 1980. But its uncanny, haunting power stayed with horror fans, and now itâs widely recognized as one of the greatestâ"if not the greatestâ"horror films of all time. This Halloween season, grab some popcorn, turn out the lights, and succumb to the strange power of the Overlook Hotel.